Many drugs can cause agranulocytosis and neutropenia by bone marrow suppression. About three fourth of all agranulocytosis in the United States is related to drugs. Acute agranulocytosis has been shown to be attributable to drugs in 70 to > 90% of cases. Agranulocytosis is used to describe a more severe subcategory of neutropenia, applied to cases in which the ANC is lower than 500/μL. Procainamide, anti-thyroid drugs, sulfasalazine, phenothiazines, semi-synthetic penicillins, non-steroidal anti-inflammatory drugs , aminopyrine derivatives, benzodiazepines, barbiturate, gold compounds, sulfonamides, and anti-thyroid medications are the most common causes of neutropenia and agranulocytosis. Drug-induced neutropenia or agranulocytosis occurs as an idiosyncratic reaction, most often secondary to accelerated immune-mediated destruction of neutrophils and their progenitors (not including Neutropenia that follows cytotoxic chemotherapy, which is usually reflects decreased granulocyte production secondary to bone marrow suppression). Agranulocytosis is characterized by a neutrophil granulocyte count < 0.5 × 109/l with no relevant decrease in haemoglobin and platelet counts. 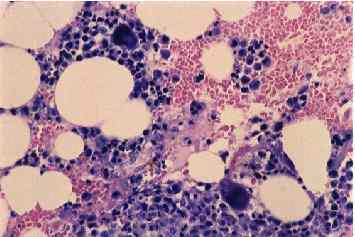 Other pathology, such as myelodysplasia or malignant lymphoma , can be excluded after a bone marrow examination . Some patients may be completely asymptomatic, mainly when blood cell counts are supervised frequently during drug therapy. Drug-induced agranulocytosis patient presents with a severe sore throat , pharyngitis or tonsillitis . Many patients develop septicemia and some have evidence of pneumonia, skin or other localized infection. Chronic neutropenia is an important differential diagnosis and may similarly present with a severe bacterial infection as first manifestation of the disease leading to further decline of the neutrophil count and to agranulocytosis. The list for all the potential causes of agranulocytosis is actually long. Solely from discussing drug induced agranulocytosis, the highest risk drug groups are antithyroid drugs, macrolides , and procainamides . Some drugs appear to have direct toxic effects on marrow stem cells or neutrophil precursors in the mitotic compartment. For example chloramphenicol may act as direct toxins in some individuals. Other drugs may have a combination of immune and nonimmune mechanisms. Any chemical or drug that can depress the bone marrow and cause hypoplasia or aplasia is capable of causing agranulocytosis . Some drugs do this to everyone if they are administered in large enough doses. Other agents seem to cause idiosyncratic reactions that affect only certain susceptible individuals . Some agents such as valproic acid, carbamazepine, and beta-lactam antibiotics act by direct inhibition of myelopoiesis . Direct injury to the bone-marrow or myeloid precursors plays a role in most other cases. Many drugs associated with agranulocytosis have been reported to the US Food and Drug Administration under its adverse reactions reporting requirement. Many agents are also reported to a registry maintained by the American Medical Association . The pathogenesis has not been completely elucidated since now. It is probably caused by immunoallergic and/or toxic mechanisms. Drug-induced autoantibodies are produced against circulating neutrophils and/or myeloid precursors. Usually, immune-mediated agranulocytosis occurs within days to a few weeks after beginning the drug and is frequently acute, with explosive symptoms. Drugs commonly associated with this type of agranulocytosis include pyrazolones dipyrone, β-lactams, quinidine, quinine and propylthiouracil. 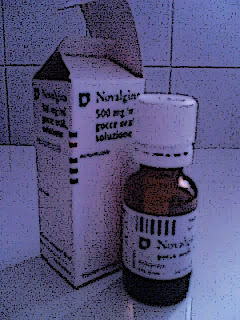 Some drugs such as aminopyrine, penicillin, and gold compounds seems to act as haptens . They induce antibody formation against neutrophils, leading to their destruction. Constant presence of the drug is necessary for the destruction of the granulocytes. Neutrophils’ destruction can be caused by circulating immune complexes. These complexes do not require the continuous presence of the drug. Drugs like Clozapine accelerates neutrophils apoptosis due to the bioactivation by P450 and peroxidase enzymes that forms the toxic and reactive nitrenium ion. This metabolite covalently binds to cellular proteins, run down intracellular glutathione and leads to cell toxicity. It was reported a patient with Grave’s disease who developed neutropenia and anti-neutrophil cytoplasmic antibodies ANCA after propylthiouracil treatment. ANCA disappeared after withdrawal of the drug. Cytotoxicity tests proved that the antineutrophilic antibodies lysed the neutrophils via a complement mediated mechanism. Drugs such as beta-lactam antibiotics, carbamazepine, and valproic acid, at high concentrations, induce inhibition of colony forming units of granulocytes and macrophages in all bone marrow samples.